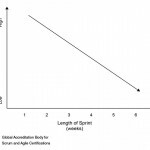 Why should there be a fixed length to Sprints? After all, Scrum is about adapting to change; poorly chosen Sprint length will lead to impatient management, overburdened Scrum Team and ultimately, bad Project output. Variable Sprint Length seems like a magic bullet that will enable work according to the Real word conditions as expected now rather than anticipated for later. Sprint planning now becomes easier. One does not have to overanalyze whether to include or exclude one more week which will bring the Product to a better Stage after every Sprint but make the process less flexible. Why are we not seeing more Vari-time Sprinting? The Primary reason why we do not have this is because of two words: Time-Boxing. 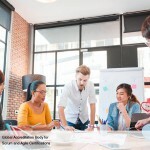 It is a principle of Scrum where which proposes fixing a certain amount of time for each process and activity in a Scrum project (Source: SBOK). It Brings Discipline. In Scrum, Instead of filling pages of Forms and Progress reports, the Scrum team members can avoid Status Meetings and focus on working. The cost of doing that is the Discipline of time-boxing. So the Middle Management guys know that they will get timely data to do their number crunching without bothering the Project team. Timely Feedback and Status reports can be sent to external Clients who will then slowly release the next installment of payment. Now that we have established that Fixed Sprint length is necessary, what is the Ideal Length? The Simple Trite Answer is “It Depends”, but on what? Some factors are: Size of Company, how much testing is required, the amount of “Creativity” required and the nature of clarity and change in the project. Larger organizations have a greater need for Documentation (so all relevant people know what is happening) and longer term planning thus necessitating longer Sprint Lengths. Early Stage Startups should have short Sprint Lengths as they need to accelerate their learning curves and adapt their offering to fit what the market wants. Everyone already knows what is happening in the organization and the project could be dead by next financial year if the offering is not refined this week. Creativity requires time to come up with an Idea and not the rush of deadline looming. Stable project parameters allow for longer Sprints of 4 to 6 weeks. 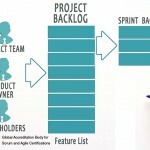 If project requirements are themselves not clear, shorter Sprints of 1 to 3 weeks are warranted. Ultimately, however, the most important question is: what is the Scrum Team actually comfortable with? This brings us to another important Principle: Self-Organization. The Team should buy-in and say: “We are going to have X week Sprint” Let the Scrum team members do the above analysis themselves and come up with a Sprint Length without pushing it on them.